The largest salt lake in the world. Kati Thanda-Lake Eyre is Australia’s largest inland salt-lake at just over 9,500 sq. km. and is just a stone’s throw from the small Outback community of William Creek. The lake contains the lowest natural point in Australia at 15 metres below sea level at Belt Bay. Halligan Bay is the closest point to William Creek to see this spectacular lake from the ground. The turnoff is located 7km south of William Creek and is approximately 60 kilometres to the viewing area. This road is recommended for 4WD vehicles only due to soft sand, bulldust holes and claypans. If you are travelling to Halligan Bay, you will require a Desert Parks Pass which can be purchased from the William Creek Hotel. 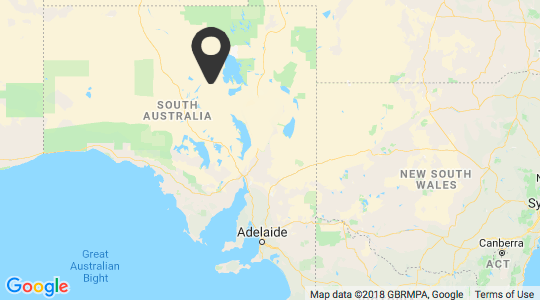 If you are travelling from Marree or Roxby Downs, there is lookout point approximately 15 kilometres west of the Borefield Road junction at Lake Eyre South. The access track turnoff is 3km west from Marree. The track runs 94km to Level Post Bay via Muloorina Station. Road conditions vary and you should check the conditions before travelling on this road. Please ensure you are prepared and have adequate supplies. Check the latest Desert Parks Bulletin and the road condition report for current access before you leave. A $10 National Parks Vehicle Entry Permit is required for all access to Kati Thanda-Lake Eyre National Park. Want a different perspective? Take a scenic flight over this vast lake of pure white salt.